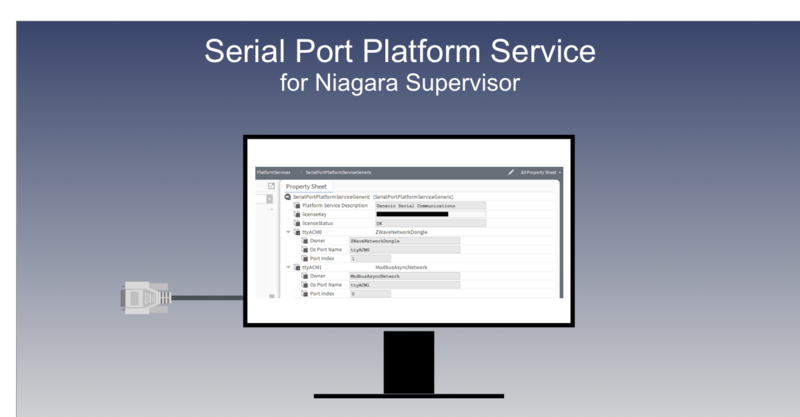 Serial Platform Service Generic – Serial port support for Niagara Supervisor. Unified driver works on Windows 32/64, Linux 32/64 and potentially macOS 64bit when officially supported by Tridium. Platform native serial port names instead of COMx for Linux/macOS in order to stop guesswork on which serial port you are using. Price includes updates for 1 year from purchase.